One of the things I do every year that really makes a difference in my students’ learning is having them use notebooks to store notes, examples, work, and basically house all of the learning they have done that year. 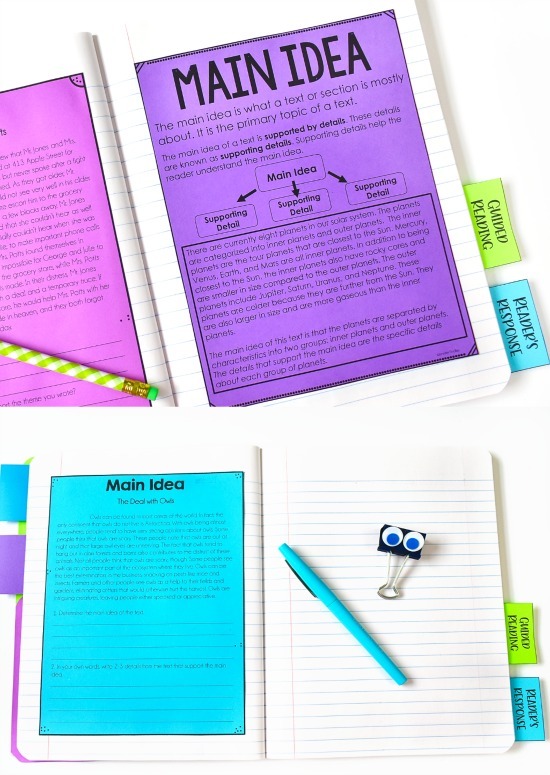 Having these notebooks makes it so easy to spiral content because the students have a ready-made resource to refer back to. 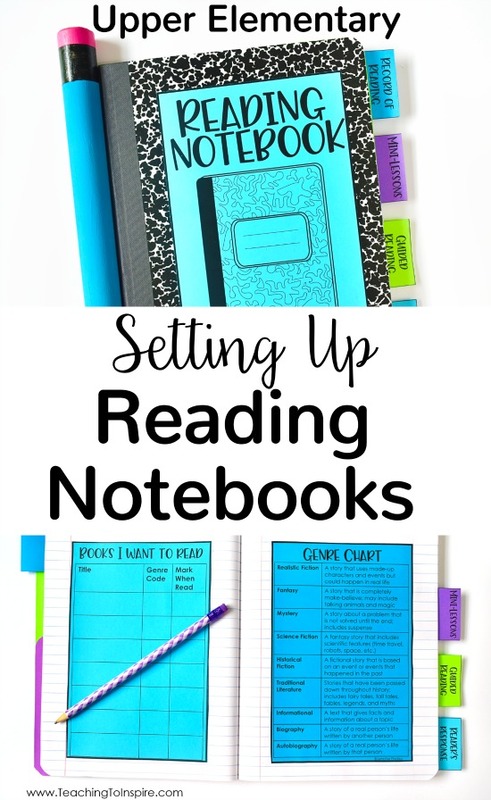 On this post, I will share how I set up reading notebooks and share several free printables to help you get yours set up. The next few sections will dive into each of the above and give you details about how I set each section up and what my students put in each section. This section is pretty simple to explain but is something I have to hold many of my students accountable to adding to throughout the year. 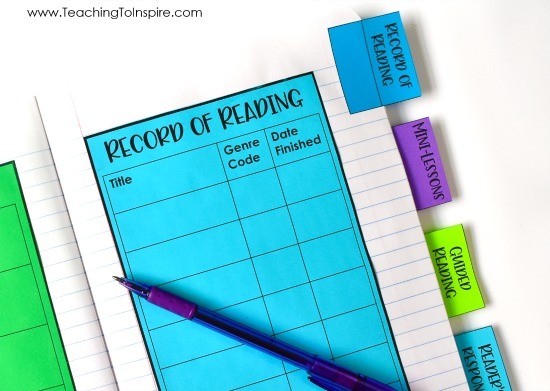 In this section, students keep their record of reading charts and a chart of books the students want to read. 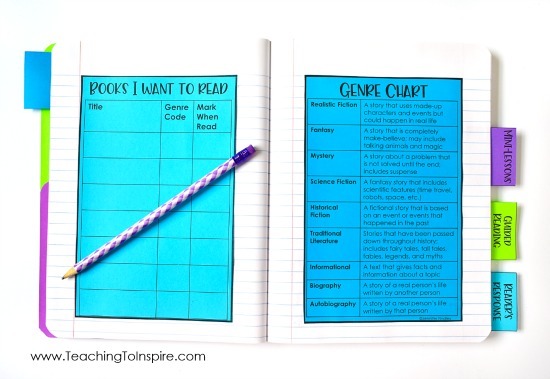 I also give them a genre chart to glue to this section to correctly record the genre of each book they read. These forms are available in the free download at the end of this post. The next section is where we store all of our learning from the reading mini-lessons. 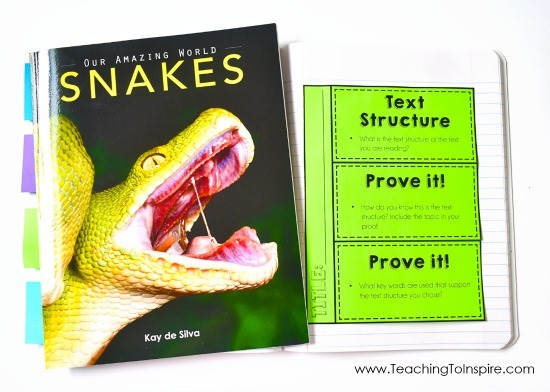 I keep this very simple and use a short text and anchor chart/teaching poster for each standard. 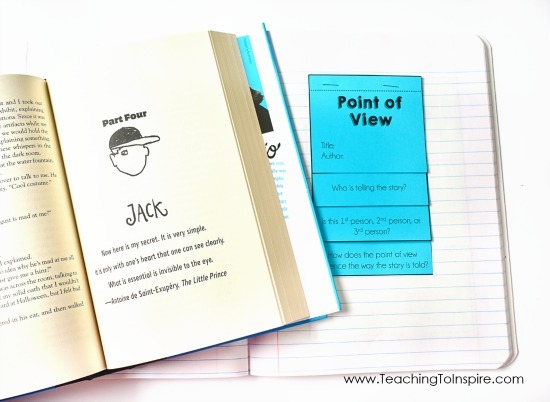 Keeping it simple allows us to focus on the reading without taking up too much time with the cutting and gluing. Here are a few examples. 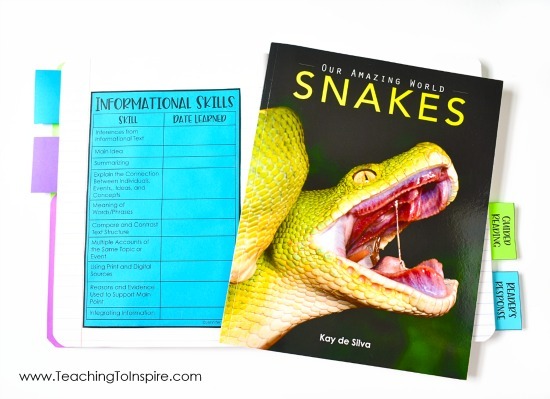 The reading texts and anchor charts/posters are not part of the free download. These are for purchase in my TpT store. 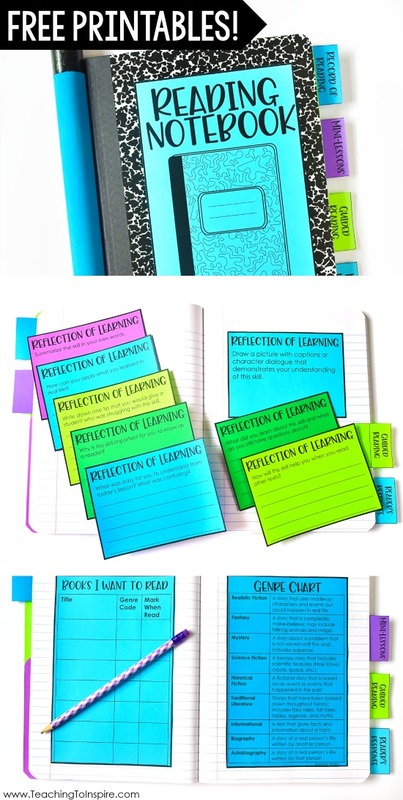 You can see the reading notebook bundle that includes these here. The students refer back to this section of their reading notebooks all year during reading centers, independent reading, and guided reading. This section also gets tons of use during test prep when we are review all of the skills we have learned. To help students keep track of the skills they have learned, we use a table of contents or checklists of our major skills (available in the free download at the end of this post). This section is for when we write about the books or skills we are learning during guided reading. 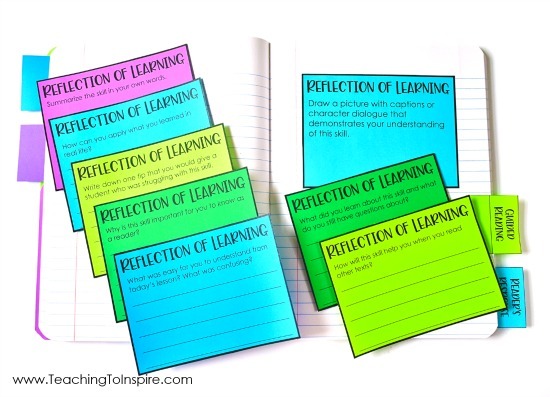 I also like to make this section reflective by having the students reflect on what they learned in our groups using these reflection slips (available in the free download at the end of this post). 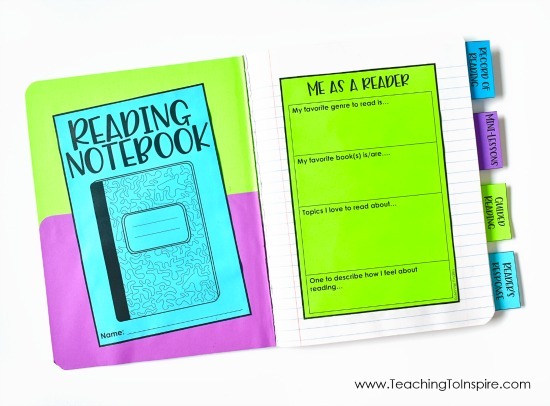 The final section of our reading notebooks is for reader’s response. This is where the students store all of their writing about reading that they do during independent reading. 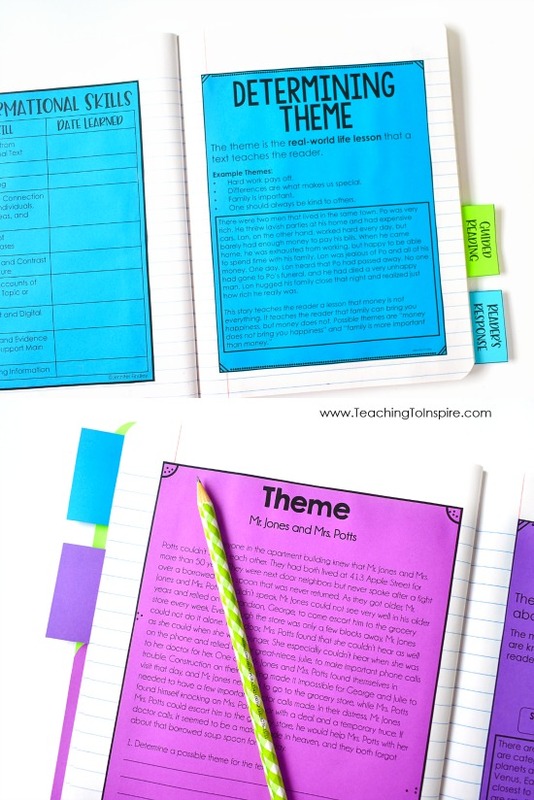 I mix this up throughout the year and do a lot of different reader’s response activities, including these interactive notebook templates, one per skill. I love using these because it lets the students directly apply what we learned in the lesson to their independent reading. Although, for some of the skills I do have to give them a short to read to ensure they can apply the skill. These reader’s response templates are not part of the free download. These are for purchase in my TpT store. 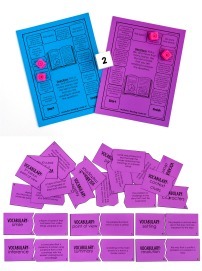 You can see the reading notebook bundle that includes these and the charts and texts featured above here. 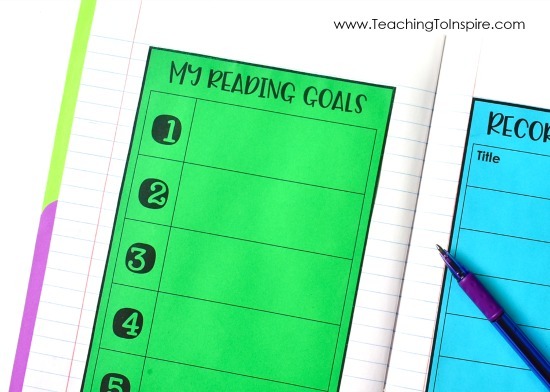 Click here to check out more Write About Reading Ideas. Click here or on the image shown to grab the following reading notebook printables for free: covers, tabs, me as a reader, my reading goals, record of reading, books I want to read printable, genre poster, mini-lesson table of contents, reflection slips, and reading skills checklists for 4th and 5th grade literature and informational skills. 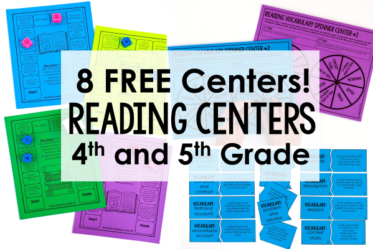 Want the specific reading content resources I use? 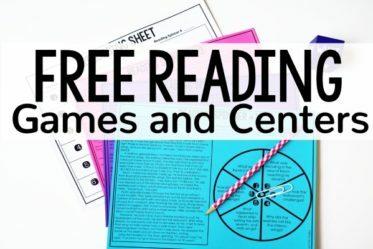 Click here to purchase the bundle that includes the resources featured in the mini-lesson section (texts and anchor charts for each skill) and the interactive notebook templates shown in the Reader’s Response section. 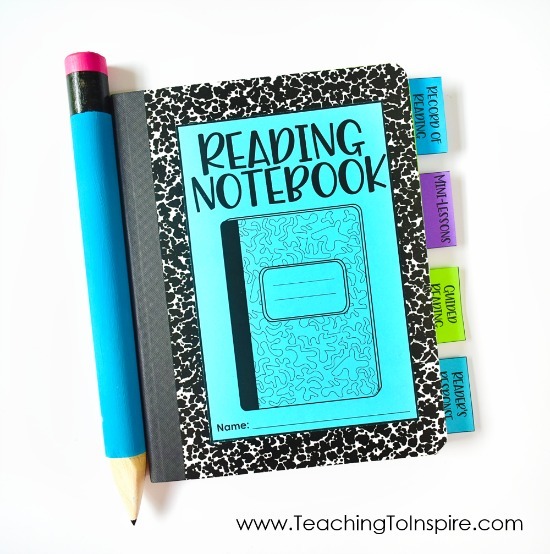 What do you include in your reading notebooks? Let us know in the comments! Thank you for sharing your wonderful ideas again! Are you going to do a math notebook post too? I’d love to see ideas on that as well! I’d love to see your ideas on math notebooks! You are amazing. Thanks for sharing! I love all your resources! :). In the notebooks, how do you know where to put each tab? Do you count pages? I would love to start out with the free version, but I wouldn’t know how to separate the tabs. ??? Hi Chelsea, it will depend on how many pages you plan to use for each section but I typically do 5-10 pages for the first section (me as a reader and record of reading) and 30 pages each for the other three sections (we do use the back and front). Hope this helps! Does on notebook last the entire school year? 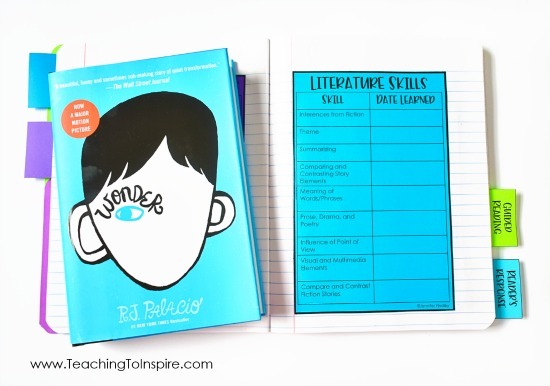 You mentioned an unlabeled section at the beginning where you do activities to help students learn more about themselves as readers. Is the list of suggested activities included in your bundle? I love all of your ideas. I am wondering how you print the 4 tabs on different colors since they are all on one page. I would love to have a page with one tab only. It would be easier for printing on different colors. Do you print the kids on color paper, or is this just for the sample? 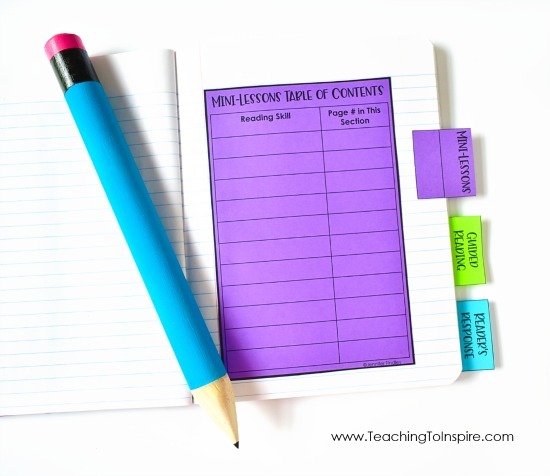 I would make multiple copies of the tab sheet, then cut and paste so that one page has multiples of the one tab, Then copy these onto different colored paper. I had the same question as you. This will be the very first interactive notebook I ever use. I have so many questions. I love that this resource exists. This is my first year teaching Reading. Your bundles have been a life saver for me! I’ve only taught math. I’m pretty nervous about this. I’m still familiarizing myself with the standards… But your products have helped me tremendously! I appreciate any advice, resources, and tips you can pass on to me! Again… Thank you! Your “Me as a Reader Page” is missing a word in the last box. Please proof. I’ve made the correction. Thanks for letting me know. I do proof my resources as well as send them off to be proofread, but we do miss things here and there. I appreciate your kindness in letting me know.